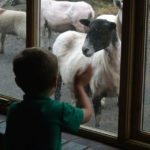 Guest post by Carol Cooper who successfully diversified her farm into a children’s day nursery and now helps others do the same. We opened our Day Nursery in October 1997 and since then we have never looked back! 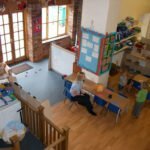 The Nursery is situated in the village of Haxey near Doncaster, we were inspired to open the nursery as we had three young sons (triplets) and as working parents we knew the difficulty of finding excellent childcare. 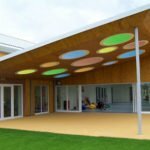 The farm was in need of some type of diversification and it seemed an ideal place for a children’s nursery, we feel it is a unique setting and had the ultimate WOW factor. Initially, we renovated a large barn which has a viewing area to the farm and the milking parlour was converted into a homely baby unit. 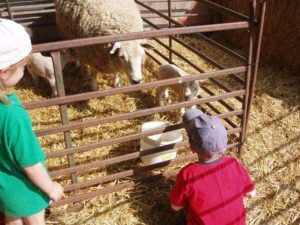 With the spacious barn, enclosed gardens, play areas, nursery woodland and safe limited access to the working farm we believe we have created a safe and exciting environment for the children entrusted in our care. At the beginning the nursery could take 20 children including three babies, over the years we have expanded and converted all the farm buildings so now we can take 76 children, this includes 24 children in our Out Of School Club/Holiday Club. extended the existing nursery and can now cater for 84 children. This diversification was all new us, Martin says “Finding a balance between farming and overseeing the nursery and all the jobs it entails can be, and indeed is difficult. Do I do that job in the nursery or do I spray the crops, choose the nursery then go out to do the spraying and it blows for 2 days! That’s the sort of thing that happens. At the end of the day what is going to make you the most money? The farm may break even; the nursery will make money (in time). In my opinion as long as the farm is kept ticking over without any loss of production or income, go for the diversification, provided the nursery is filled it generates income rain or shine, it’s nice to have a business that doesn’t rely on the weather! If you are looking for a Farm Diversification then this could the ideal project for you, we had no experience whatsoever. I was a secondary school Maths teacher and Martin a self employed farmer. As a secondary school teacher I was not qualified to run the day nursery so all the relevant staff were put into place and my husband and I cover both nurseries. You do not need any experience or qualifications just a passion and commitment to deliver an excellent service to the children and parents. We love our job and have never regretted it and we are pleased that two of our sons, now 25 years old, would like to join the family business in the future and set up a third nursery. We are proud to have achieved Outstanding from Ofsted. If you are considering this diversification then we have in place “The Ultimate Coneygarth Package”, this is all the paperwork required to run your day nursery, it will save you months of work and allow you the time to set up your nursery, develop your staff, run/oversee your nursery and achieve the reputation you need to fill it! I would wholeheartedly recommend this diversification.